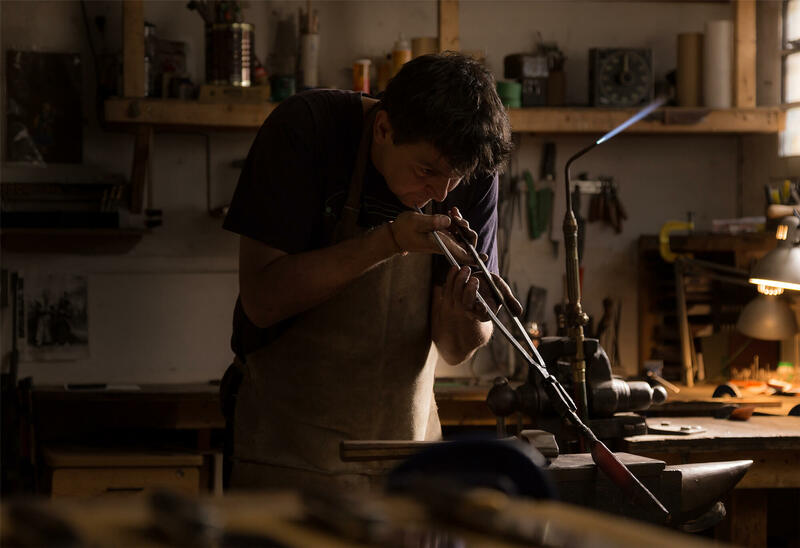 Every Deva knife is made entirely by hand by Dave Fortin, with painstaking attention to detail and quality. Each knife is unique piece; no identical one will ever be produced. 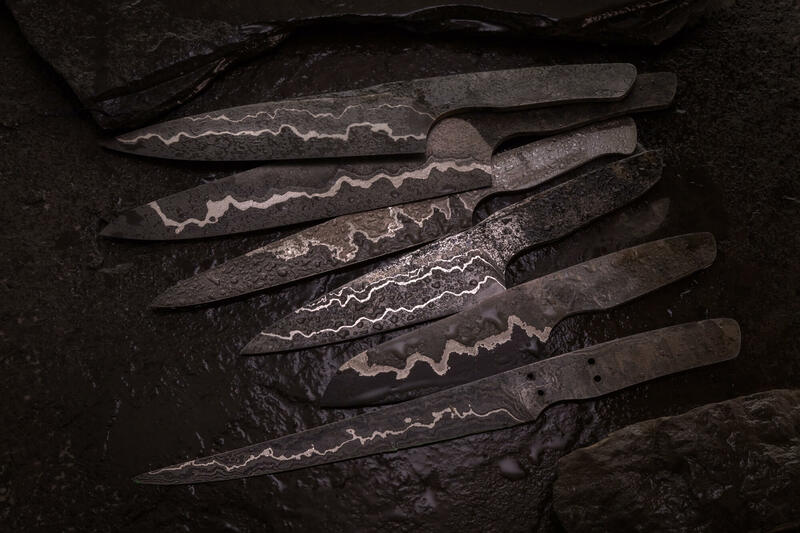 Dave draws on his long experience with hand-forging and metallurgy to create, by welding and hammering various alloys, a steel alloy known as Damascus steel, which is prized for its unique appearance with patterns of lines. After designing and producing the steel blocks in his workshop, Dave completes the next steps: welding, hammering, and stretching. After he shapes his unique steels into knives. 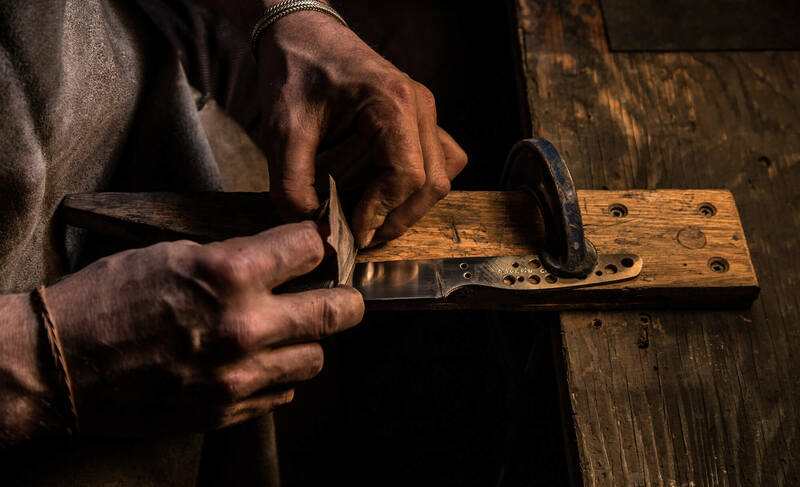 For every element of the knife – blades, handles, stands, or sheathes – he carefully selects the best materials available on the market. He works with leading experts for the tempering step of the stainless steel process.